Last week Rep. Patrick McHenry (R-NC) announced that he would not mount a challenge for the United States Senate against Kay Hagan. Instead, he will opt for another term in Congress. McHenry acknowledged his strong polling numbers but said that he felt he could play a stronger role by remaining in the House. If McHenry could wave a magic wand and become a Senator, he would probably do it. But obviously, the road to the U.S. Senate is much tougher. While McHenry boasts a strong conservative record, he probably would not have been the right kind of candidate to put up against a suburban moderate like Kay Hagan. 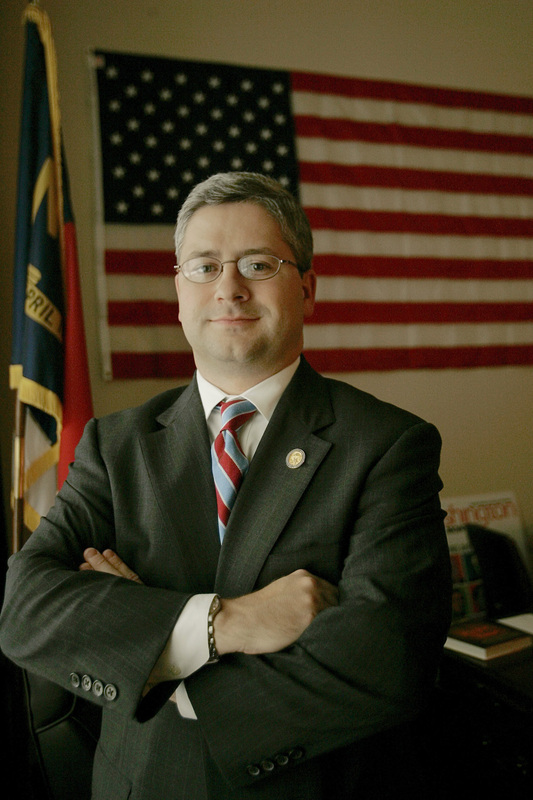 While declining a run for Senate, he nonetheless had time to make a jab at our junior senator, saying: “With her unwavering support for President Obama’s failed policies, I have no doubt that North Carolinians will think twice before sending Kay Hagan back to Washington.” Republicans should salute Congressman McHenry for being such a team player. Right now, it looks like the only member of the congressional delegation who might make a bid is Renee Ellmers. The NC GOP appears to be trying to clear the field for Thom Tillis, but Phil Berger has made strong indications that he wants in as well. I highly doubt that Virginia Foxx or Cherie Berry will make the race, and if former ambassador Jim Cain is considering a bid then he’s been awfully quiet about it. And Tea Party conservative Dr. Greg Brannon from Cary has already announced. Tillis is in. Berger is probably in. I think when all is said and done, Ellmers will sit it out. So at this point, it looks like a battle between the two heavyweights running both chambers of the legislature. And Greg Brannon. But that could change. Speaking of the Senate race, PPP should be out with a new poll in the next day or two. And we will of course be giving it very in-depth coverage and analysis. Stay tuned.